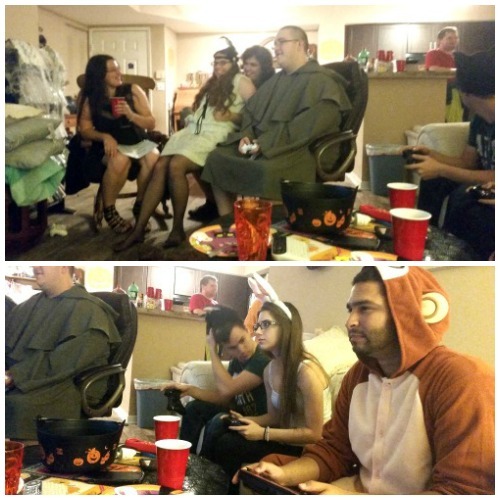 Last year was my first year living out on my own - so I hosted my first official 'party', which of course had to be a Halloween party. 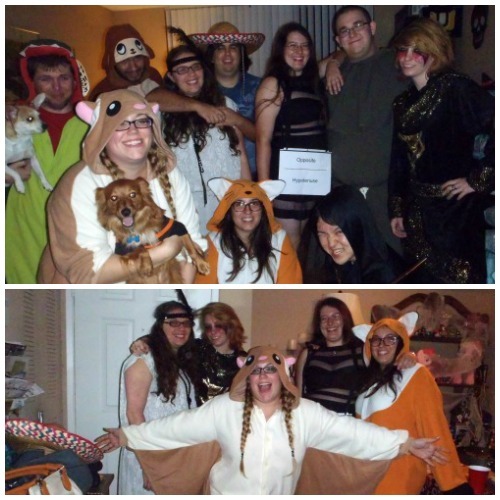 This year I decided to keep with tradition and host another Halloween party. This one went a lot smoother than last year and it was super fun! 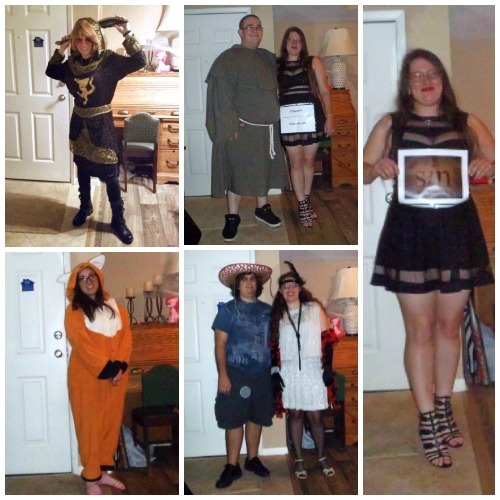 I decided to have a costume/Halloween party on my traditional Taco Tuesdays. Now for those of you who don't know, it's tradition in my house to host a taco tuesday in my apartment every other Tuesday with a few of my sorority sisters. So the party date was easy to decide on, and so was the food - TACOS! 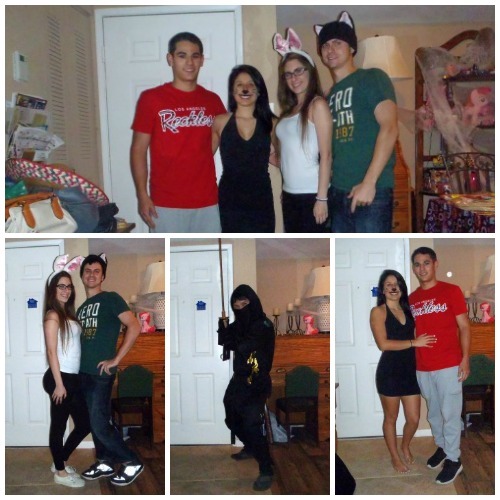 So like I said - it was a halloween party and therefore costumes were a definite must! Party pictures in 3...2...1... GO! 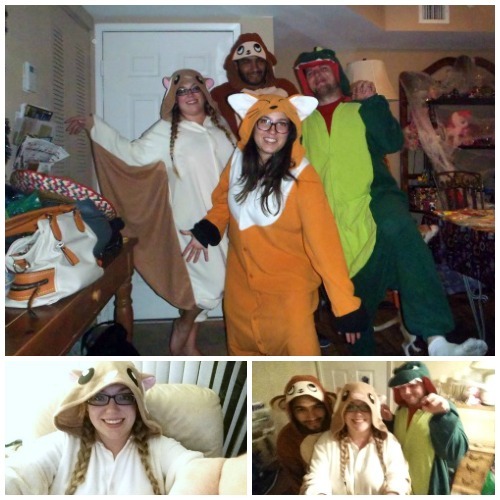 These are my fiance's coworkers and friends. 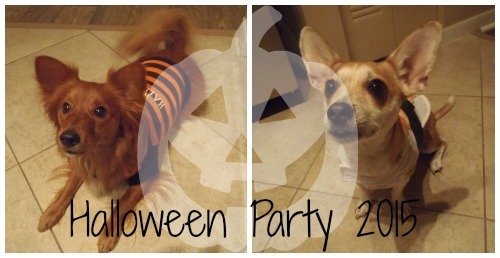 The pups were festive too! 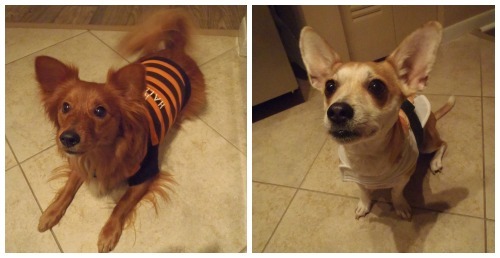 Busters shirt said 'Happy Halloween' and Nene was a sushi! Bottom: Just me and my sorority sisters!